We are characterized by flat hierarchies and work close to our customers throughout Germany. On a level playing field from person to person, our customers speak to experienced senior executives who work with their dedicated teams on a tailor-made solution for every property developer. Reinhard Blaurock was born in 1968 and is a graduate in technical business administration (Diplom-Kaufmann techn.). 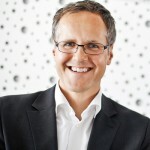 He studied at the University of Stuttgart and gained professional experience at the Fraunhofer-Institut für Produktionstechnik und Automatisierung IPA (Fraunhofer Institute for Manufacturing Engineering and Automation). In 1994, he started working for Vollack, where he quickly took on responsibility in various leadership positions. 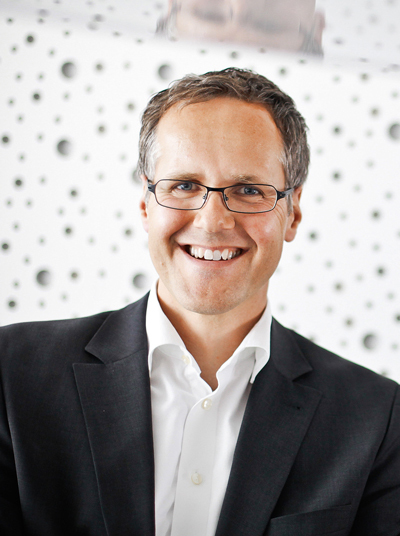 Reinhard Blaurock has been the managing director of the Vollack Group since 2001, and is now managing partner. He is a member of the board at the Dr.-Hugo-Rhein-Stiftung and a member of the general assembly at the Chamber of Trade and Industry Karlsruhe as well as a member of the Architecture Committee at the Kulturkreis der deutschen Wirtschaft im BDI e.V. (Association of Arts and Culture of the German Economy at the Federation of German Industries). You can view our partners and managing directors at each of our locations. Prof. Dr. Arnold Weissman (chairman), was born in 1955 and is a professor of business management at the Ostbayerische Technische Hochschule Regensburg (OTH Regensburg), head of the strategy center of competence at the Zurich International Business School, lecturer at the Zeppelin University and is a sought-after success strategist for internationally aligned proprietors and family-run companies. He became well known through his strategic “ten steps to success” approach, which is now the “Weissman system”, specially designed for family-run companies and their specific challenges. He founded the renowned consulting and training company Weissman & Cie., with offices in Nuremberg, Innsbruck, Zurich and Lana. Born in 1960, Dr. Patrick Adenauer, has been a managing partner at Bauwens Group since 1989. The business administration graduate received a doctorate in 1989 from the University of Cologne. From 1985 to 1989, he worked at Peat, Marwick, Mitchell & Co. (today KPMG) in New York and Düsseldorf. 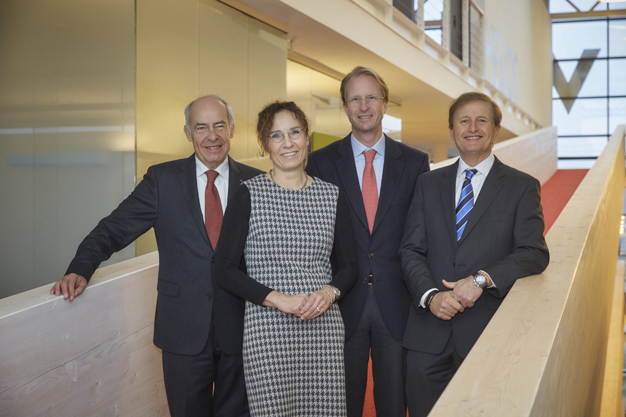 Dr. Adenauer is honorary president of the Family Business Network (FBN) in Germany. He is also appointed to supervisory and advisory boards at Talanx Bancassurance Holding, the Althoff Hotel Group, DuMont Mediengruppe and Content Management AG, among others. 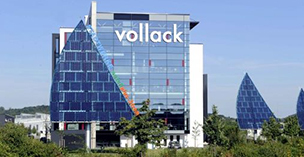 He accompanies Vollack as a shareholder and member of the advisory board. Manfred Bähr, was born in 1940 and is a businessman, founder and shareholder of the Vollack Group. By the age of 24, he already held a leadership position as an authorized officer and, at 36, he was managing director at Greschbach Industrie GmbH & Co. KG. In 1988, he took over the former Vollack Stahlhochbau GmbH in Karlsruhe as a shareholder and managing director. Manfred Bähr worked at the Deutscher Stahlbau-Verband (German steelwork association) in Cologne in the area of business administration for many years, he was on the board of Stahlbauvereinigung Baden-Württemberg (steelwork association of Baden-Württemberg), and was a co-investor chairman of the supervisory board at Baden-Airpark AG from 1995 to 1998. He supported Schlund + Partner AG, the predecessor of 1 & 1 Internet AG from 1996 to 2001 as an investor and in matters relating to its founding and business. He was chairman of the supervisory board of Volksbank Karlsruhe eG for 15 years. Manfred Bähr has been honorary senator of the Karlsruhe Institute of Technology (KIT) since 2005. He has been a commercial judge at the Regional Court of Karlsruhe since 1996. Born in 1964, Jutta Kraft, is a business administration graduate (BA) specializing in HR management and marketing. She is also a state certified translator. After working for a leading company of drive technology, first in marketing and then in a commercial training management role for the company’s HR development, she switched to the Vollack Group and took on roles in HR marketing and HR development. Jutta Kraft was an honorary member of the audit committee of the IHK Karlsruhe and a member of the Wirtschaftsjunioren Darmstadt e.V. (young entrepreneurs association). She is a shareholder and member of the advisory board at Vollack.